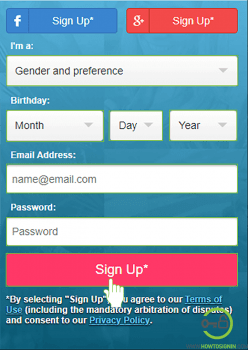 How to create a new account for Zoosk free trial? Is Zoosk totally free? How much Zoosk Cost? Looking for a partner to enjoy a night out or searching for a life partner? Zoosk can find you a suitable companion. Before investing fully into the premium service, take a free trial so you can decide whether you want paid option or not. With Zoosk sign up, you can access all basic features for free. And if you are willing to provide payment info, you’ll get 14 days of Zoosk premium for free. The registration process is easy and takes a couple of minutes. You can register with an email address or Facebook/Google account. When you sign up for Zoosk using your social media account it extracts your profile information, so you don’t need to enter it manually. But completing the profile manually helps you to increase your presence with a profile picture and verified phone number. Go to Zoosk.com. Remember that Zoosk service is not available in all the region, so you may not be able to access its site from some region. You can take help of VPN if you are not the inaccessible region. Fill out the sign up box on the right side of the site. You need to enter basic information like gender, date of birth, etc. If you are comfortable, you can create new Zoosk account using Facebook or Google account. If you choose so, you will skip the manual steps. Choose your gender and preferences for your match. A strong password to secure your Zoosk account. After filling out the information, hit the ‘Sign Up’ button. Enter your location. This helps to find matches near you. Click on the box and enter the name of your city or mailing code. Upload profile picture for the account. A good profile picture can attract many potential partners. You can also choose to upload your image from Facebook or Google account. Though you can Skip this step, we strongly recommend not to do so. Now answer all the questions about you. Click in each drop-down menus below the question, and select the preferred answers. Body type; whether your body is slim, average, and so on. Children information; whether or not you have children, if you have whether or not they are living with you. The highest level of education you’ve achieved. Whether or not you smoke, if yes then how often. All these questions may appear on the same page or different pages, if you didn’t see all the questions on one page, click Continue to go through the remaining questions. After answering all questions, verify your email. 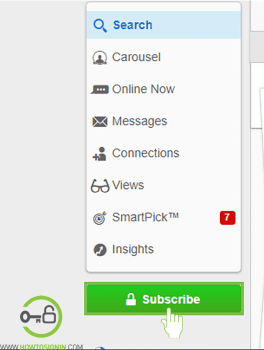 Go to the email inbox, open the email from Zoosk and click on the green tab labeled “Confirm Your Email“. Didn’t get verification mail? Check your spam or junk folder. Congratulations, your new account is ready and you can enjoy the free trial of Zoosk. Zoosk signup process is the same from the mobile app as well. You can’t communicate with other Zoosk members without a premium subscription. So the free plan is almost useless to find a good partner. The pricing is similar to other dating apps. It’s $29.99 for a month, but per month cost decreases if you subscribe for a long period. In addition to the monthly subscription, the Zoosk will charge you $24.95 one time activation fee. So be aware of this charge making any commitment to this service. Once you paid the amount, there isn’t any chance of a refund. Zoosk’s refund policy clearly states Zoosk maintains a policy that all purchases are non-refundable, including Zoosk coins and partially used subscriptions. When the subscription period expires, Zoosk automatically renews it by charging your bank or credit card. So turn off auto-renew feature, if you don’t want to have this problem later. Zoosk will bombard you with emails. Somedays you will get more than 10 emails, so change your email notification setting accordingly. Make sure, it is available in your area/region. Even though you can make a new account using a VPN, you won’t find any match near you. So don’t waste your money if the service is not accessible in your locale. Basic features of Zoosk is free of cost. But premium features like chat or message exchange are available only for the paid subscribers. 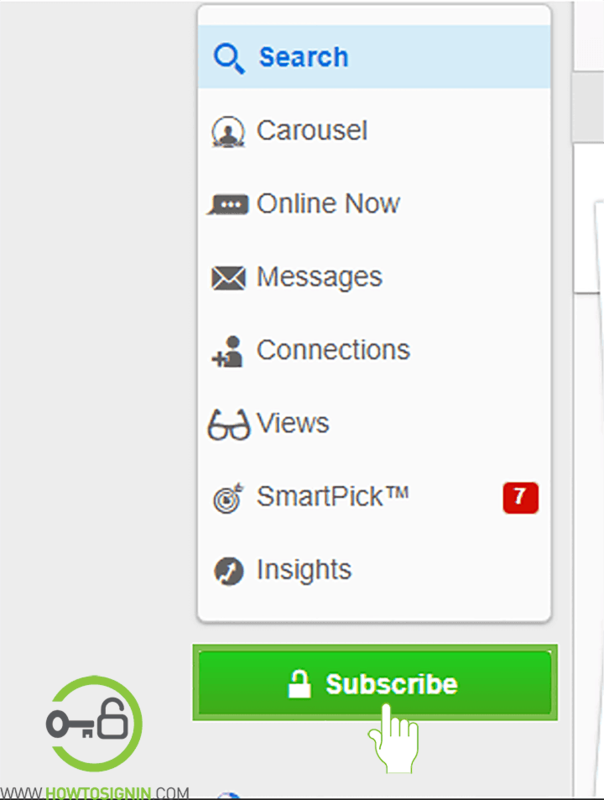 Premium subscribers can also check who visited their profile or make matches using the smart pick. Another additional feature is Zoosk coin, which can be used to get more advantage of the dating site beyond the subscription plan. You can highlight yourself and message others using Zoosk coin. You can also send virtual gifts to other users and even get notified when other users viewed your message. To buy coins, click on the profile picture at the top left corner of the screen, and select Buy coins. Pricing of Zoosk subscription is made easier to understand with the table of cost and time period. To subscribe click on Subscribe in the menu bar at the left side of the screen. With this subscription, you might also get some offers to save your wallet if you are lucky enough. For a limited time period, Zoosk is providing 14 days free trial to Zoosk subscribers. For this, you need to enter a Zoosk promo code “gtqewwig” during the purchase (We don’t take any responsibility for the term of this offer).